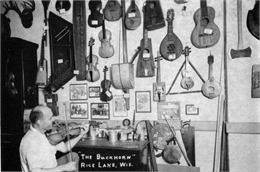 During the summers of 1940, 1941 and 1946, University of Wisconsin School of Music faculty member Helene Stratman-Thomas traveled throughout Wisconsin with recording technician Bob Draves, capturing nearly 800 performances by more than 30 ethnic and regional singers and musicians. Included were Belgian, Cornish, Czech, Dutch, French-Canadian, German, Norwegian, Swedish and Swiss immigrants, transplanted Kentuckians, and native Ho-Chunk. 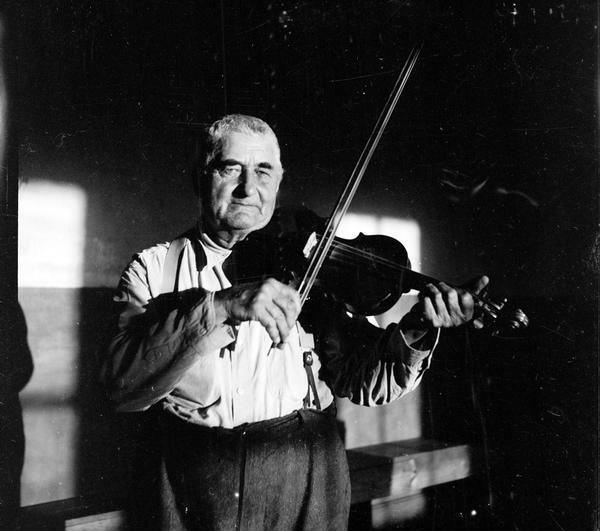 They sang and played — solo or in groups — everything from the standard keyboard, fiddle or accordion, to the more unusual wood flute, psalmodikon or bells. More than 80 photographs were taken of the artists, their instruments, and the environments in which they lived and performed. These images augment the large collection of recordings and documents housed at the University of Wisconsin-Madison's Mills Music Library.